For me code geass and lucky star are the best anime in 2007 . So i want to create a wallpaper that combine the two series . 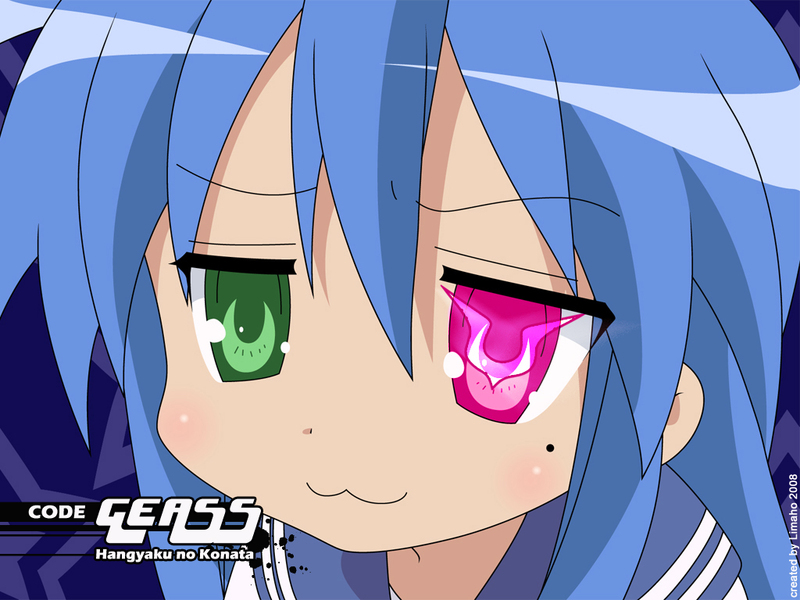 As u can see it's just an easy conceptual wallpaper , i just made the geass eye and the title on a vector gallery of konata . wahhh konata sama is soo cool! Hangyaku no Konata xD good job ? LOL! haha, no me esperaba ver a Konata-chan es fase de Lellouch xD! con todo y Gueass, gracias por compartirlo!